Following years of strife, what remains of the Reef has fallen to lawlessness. You and Cayde-6 are sent to personally investigate the recent unrest. Upon arrival, you soon discover the most-wanted criminals in the Prison of Elders have organized an escape. Beyond the Vanguard's authority, you'll pursue these fugitives deep into the Reef. Explore new regions, awaken new powers, earn powerful weapons, and uncover long lost Awoken secrets. The hunt is on. Destiny’s largest endgame experience ever. Unearth long-lost mysteries, solve ancient riddles and fight back against the corruption that plagues the tower’s halls. 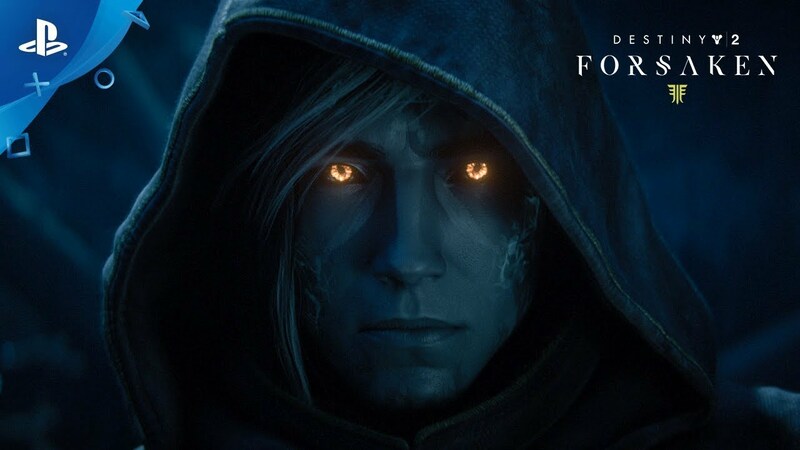 Test your mettle in The Blind Well to claim powerful treasures, but be warned, a terrible evil lies deep within the heart of the Dreaming City. Go in-depth with the Bungie development team to learn how Destiny 2: Forsaken changes the game this fall. Take justice into your own hands as you venture into a new frontier filled with enemies, allies, and untold mysteries and treasures waiting to be uncovered. Cayde's Exotic Stash available starting 09.04.18. Can be attained by pre-order or pre-purchase of Destiny 2: Forsaken, Forsaken + Annual Pass, or Forsaken Digital Deluxe Edition. Can also be attained through gameplay starting on or about 01.01.19. Subject to change and availability.